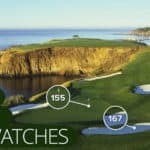 Most golfers in the world can’t break 100. 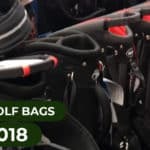 So, despite the fact that there are plenty of players’ irons on the market today, the bulk of the golfers need to look in the game improvement category to find the best golf clubs for their bag. If you don’t really keep score or are trying to break 90-100, the Callaway XR OS Irons are among the best golf clubs that you can choose from. These clubs offer great distance and forgiveness and will help you keep the golf ball in the short grass. The Callaway XR OS irons are specifically designed for maximum distance. If you’re looking to gain a few more yards with each club, these are the best golf clubs for you. What is a ‘face cup’? The face cup is a piece of Callaway design technology meant to provide you with impressive ball speed off the face of your irons. It essentially gives the clubhead a “hot face” for increased ball speed. Increased ball speed equals more distance. When you properly strike the XR irons, your ball will launch off the club with that searing sound that we all love. In addition to face cup technology, they have a multi-piece construction that will help the ball launch even faster. Think light clubhead, optimized iron blend for efficiently transferring energy to the ball, and longer ball flight. In the end, you’re left with a set of irons that are built to launch the ball a long way down the fairway. These really are some of the best golf clubs for distance. 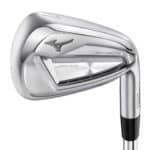 Like most game improvement irons, you will see plenty of weight distributed to the bottom of these irons. With these irons, Callaway has moved the weight of club away from the face. This engineering move gives the club a better center of gravity and allows for improved and more consistent ball striking. Not only will such a low center of gravity help you to hit the ball longer, but it will help you get better results from your miss-hits as well. Some players hate game improvement irons (or cavity backs) because of their design. Golfers don’t like the gimmicky colors or feel. 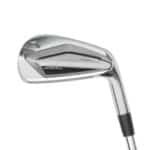 Game improvement irons are traditionally oversized irons and can look a bit cartoonish when addressing the golf ball. 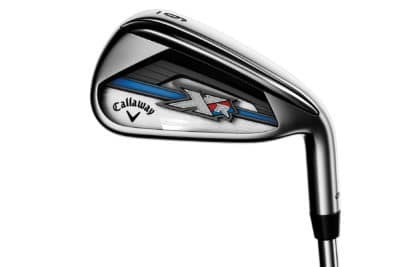 Callaway XR irons don’t look like a set of blades. However, we think they have a clean look that inspires confidence. Callaway has made improvements to the style of their cavity back irons by moving towards a cleaner look with fewer dramatic color schemes. Strong lofts are becoming a trend these days. Some players hate it, some players love it, but its a reality that we have to deal with. The Callaway XR irons have strong lofts, which means that you’re going to hit each club a little farther. This is a key reason why this set of golf clubs offers such great distance. The pitching wedge you receive will be angled at 44 degrees, which is rather strong for a PW. For comparison, 44 degrees is the loft a typical 9 iron. Despite the strong lofts, you will find traditional progressive gapping in the lofts of the irons. This means that each iron will de-loft gradually as you go down the set like any other set of golf irons. You never want to have two irons which go roughly the same distance. The Callaway XR OS irons are designed to add yards to your game. Plain and simple. They’re built for distance and are extremely forgiving. Callaway has engineered these golf clubs to make you have more fun and they accomplish just that. 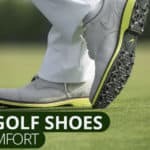 They also provide you with a look and feel that will inspire confidence. 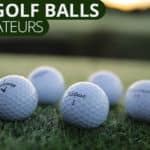 If you are a recreational golfer looking for extra distance and to keep the ball in play, these are the best golf clubs for you. I shoot mid 80s and haven’t played consistently for many many years. My old clubs of 25 years had to be replaced so I decided to go with the Callaway xr os. Haven’t been able to use yet due to the weather in Florida at this time. Really lookin forward to the opportunity to just see what these clubs are all about. Thanks for the comment, Sean. I hope you like them. Stop by and leave us another comment to let us know what you think once you’ve had the opportunity to try them out. Purchased these clubs on Facebook marketplace for a ridiculous price. I wasn’t even looking for new irons but figured I could buy them and sell them immediately and make money. I just played my first round with them. Hit my 5 iron twice over 200 yards! They are at least a club and a half more distance than my old clubs. Overshot a green from 150’with my 9 iron. Crazy! Can’t wait to get a feel for these clubs. Ball comes off incredibly hot but loft is also amazing. So glad that I bought them!